Wisconsin Estate Planning Attorneys - Crooks, Low & Connell, S.C. 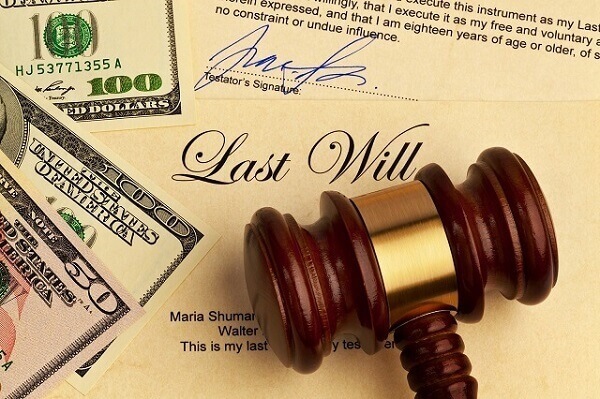 When was the last time you looked at your will? If your answer is, “When I signed it,” there is a decent chance that something in there might be out of date. Your estate plan should reflect your current family and financial circumstances; and, if things have changed, it may be time to change your estate plan as well. Getting married (or remarried) is a major life event that can drastically alter your estate planning goals. While creating a joint will may or may not be your best option, you will certainly want to revise your estate plan to work cohesively with your new spouse’s plan (which will likely need to be revised as well). Getting divorced is another important reason to update your estate plan. If you prepared (or updated) your plan after you got married, you will need to make sure that your will, trusts, and other estate planning tools do not provide for your assets to transfer to your former spouse. 3. You Had a Child. Having a child can affect your estate plan in a number of different ways. For example, in addition to providing for the distribution of your estate, you will now want your estate plan to address guardianship of your child, should you die unexpectedly while he or she is still a minor. 4. You Lost a Loved One. If a loved one who is named as a beneficiary, guardian, personal representative, or power of attorney in your estate plan passed away, this is another important reason to reassess your estate plan. Failure to update your estate plan after a loved one’s passing can have a variety of unfavorable consequences. 5. Your Financial Circumstances Changed. If you received a substantial inheritance, took a higher-paying job, sold your business, or had any other major change in your financial circumstances, you will want to update your estate plan accordingly. Many people are surprised to learn that moving can impact their estate plan as well. If you relocated to Wisconsin from another state, or if you are planning to move out-of-state or overseas, you will need to make sure that your estate plan will be enforced as intended in the appropriate jurisdiction(s). The list above is not intended to be exclusive, and if it’s been awhile since you prepared or last updated your estate plan, this alone can be reason enough to give it renewed consideration. Maybe you have experienced another major life event that impacts your plan. Or, maybe, you simply have a new perspective on your final wishes. Review Your Estate Plan with an Attorney at Crooks, Low & Connell, S.C. If you would like to speak with an attorney about modifying your estate plan, we invite you to give us a call. To schedule an appointment with an estate planning lawyer at our offices in Wausau, WI, call Crooks, Low & Connell, S.C. at (715) 842-2291 or submit a request online today.